You are here: Home / MHC Butterflies!! / Our New Butterflies! 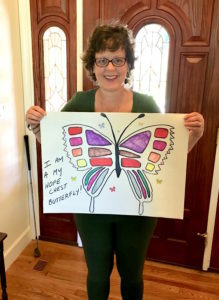 Creating Butterflies is what we do at My Hope Chest… that means, transforming the lives of our clients when they thought there was no hope or help. Featuring testimonials from some of our awesome patients! When I first heard the words “breast cancer,” I went numb. People were talking to me and I was in such a fog, they all sounded like Charlie Brown’s parents. I had no insurance and I didn’t know where to turn. When I finally received all of my diagnosis, I soon realized that after chemotherapy, a bilateral mastectomy was going to be in my very near future. I got a grip and took a warrior stance. I thought that a life without breasts… for me, would have to go on feeling somehow “less than.” Less than what, I wasn’t sure, but I was scared of the outcome. So, I scoured the internet for help. I looked high and low until I came across the beautiful website MyHopeChest.org. I decided to call. It was the most miraculous call I could have ever made. Everyone was so wonderful and helpful. They understood my fears and anxiety and treated me with dignity and respect. I was approved for reconstruction and It changed my life. It gave me all my self-esteem back. I feel whole again and with that, I feel strong. That strength makes me brave and enables me to tackle anything that life throws at me. Now, I have just joined a water aerobics class… where I have to wear a bathing suit each time I participate! WOW! I’m proud of myself for being that warrior that I am. 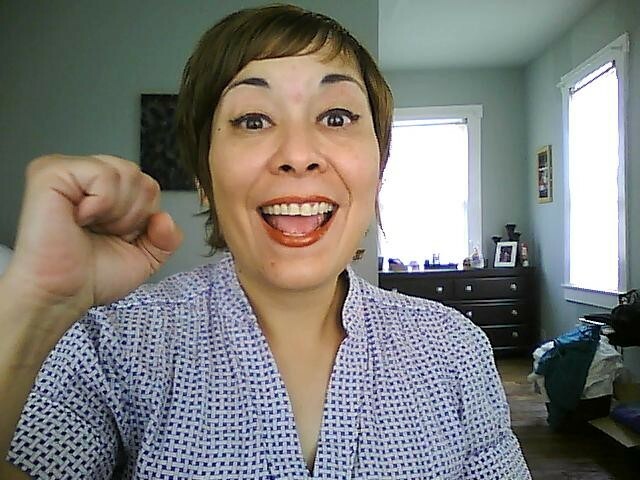 I feel great and look amazing, thanks to the generosity and compassion of My Hope Chest. My name is Maricela … I was diagnosed with stage three triple negative bilateral breast cancer on Oct. 6th, 2009 while living in Atlanta, Ga. I was 39 at that time and my life was supposed to end as I knew it. I was at a loss due to that fact that I would not be able to afford breast reconstruction. I was still determined to beat this too somehow. I spent countless hours making phone calls to inquire about any type of financial assistance. No one could help. I then started to do more research online and found My Hope Chest!!! Just by reading who and what My Hope Chest was about, gave me a glimpse of hope. I took a chance and submitted my application. My Hope Chest was the only hope I had. Several months went by and out of the blue I received a called from one the volunteers named Suzen. I just about fell to my knees in excitement!!! This was the beginning to a second chance of a true quality of life! When I was actually chosen, I had tears of joy and thought to myself how extremely wonderful this organization really is! It took me a while to grasp the idea that these hard working amazing strangers were about to change my world! My Hope Chest was going to give me a gift called Maricela! ME!! THANK YOU! THANK YOU! THANK YOU! My Hope Chest is extremely VITAL! We are so happy for Maricela….Stay tuned for continuing stories of hope and transformation!